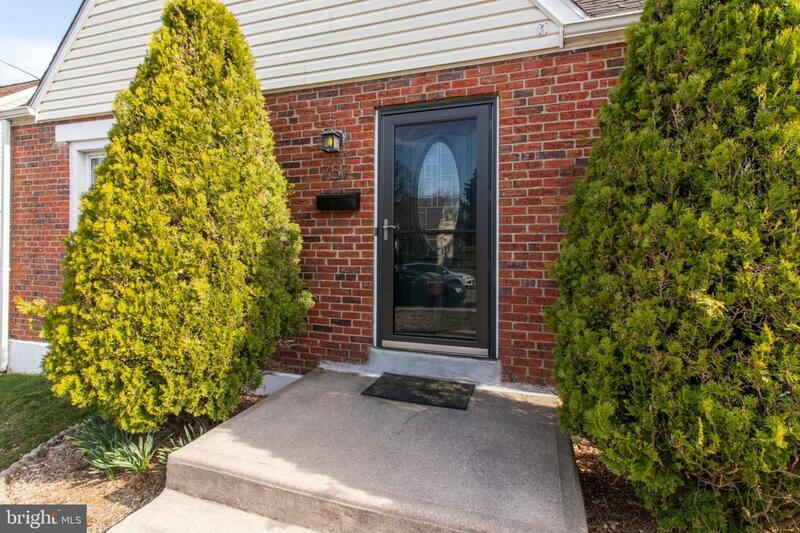 Great single spacious brick home in Ridley Township. It feels like home even before you walk in! Awesome curb appeal and super cute. Just unpack and move in! 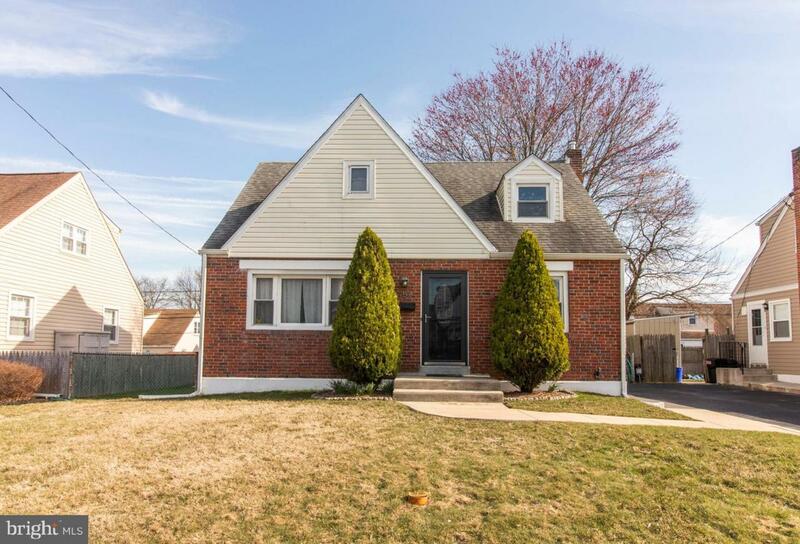 Energy efficient with newer vinyl siding, newer storm door, thermal tilt-in windows. New concrete walkway up to the front steps also continues down the side of the house to the back steps. New HVAC and chimney liner in 2018. 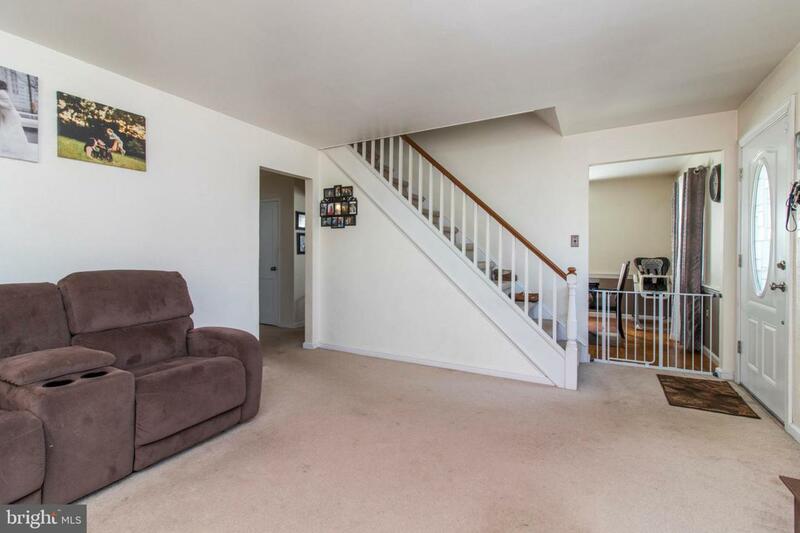 Enter home through large living room with plenty of natural light. Formal dining room with wood parquet floors and chair rail. Open eat in kitchen is roomy and has newer appliances. The side kitchen doors go out to the shared driveway with walkway to the great fenced back yard. Plenty of room for BBQs and get togethers. Enjoy your back patio with exterior lighting. Relax in the shade under your maple tree. Backyard is fenced in. Updated powder room on the first floor. Also, features a room that can be a bedroom, office, playroom, etc. Second floor has generously sized master bedroom with a walk-in closet (with a chandelier ~ how cute! ), new wall to wall carpet. Updated center hall bathroom with linen closet. Third, spacious bedroom is across the hall. Basement is full size of house and partially finished. Laundry room has newer front loader washer and dryer. Plenty of storage. 2nd floor is warm and cozy due to added spray foam insulation (2017) plus also cooler in the summer. Close to shopping, schools, malls, restaurants and transportation. 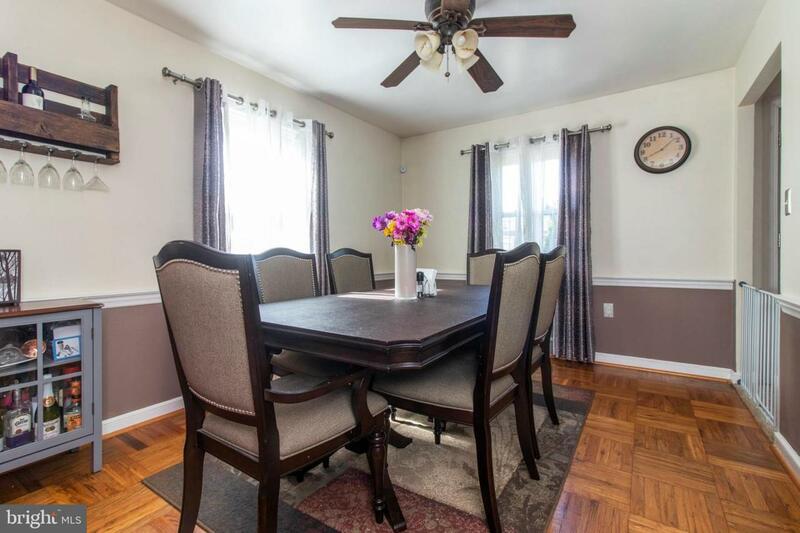 Easy access to I95, 476, Philadelphia, Wilmington, King of Prussia, Philadelphia International Airport. Close to Jacobs~ Park and Morton Community Center. Inclusions Washer Dryer Refrigerator "As Is"